We're happy to help! Email us via hello@zapzapmath.com and we'll revert in no time. We want to be the best math app for kids, and lets grow together! Zapzapmath is a game-based learning ecosystem which seeks to engage K-6 kids in learning math via a collection of space-themed math games. Zapzapmath presents mathematical concepts through visually compelling space-themed games. Kids can move through the different levels at their own pace and progress, and parents and teachers can monitor their progress remotely and use that information to guide them accordingly. Zapzapmath is suitable for kids from Kindergarten to 6th grade. What is the Zapzapmath premium subscription? The Zapzapmath premium subscription gives a player complete access to all the games in their grade for 9.99 USD a year. Each subscription allows one player to play all the games in their grade for a year. How can Zapzapmath help our students grow? Teachers and parents everywhere are using Zapzapmath as a new way of getting kids interested and engaged in math. 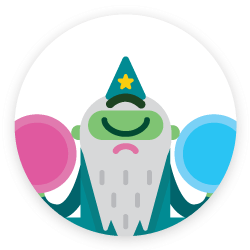 Zapzapmath acts as a gamified assistant for your teachers which helps to maximize downtime in their classes and as a fun learning companion for your students. How can we get Zapzapmath for our school? We're glad you asked! Please get in touch with us at hello@zapzapmath.com. Help! Our question isn't answered here. What are the minimum operating system requirements for the mobile version of Zapzapmath? How does Zapzapmath keep our students motivated to play? Every time your students play, they earn coins which can then be used to redeem decorations for their personal spaceship. The coins can also be used to personalize their character in multiplayer mode. What are the system requirements for the web version of Zapzapmath? How many languages is Zapzapmath available in? Zapzapmath is available in English, Simplified Chinese, Malay and Spanish. Our school uses Chromebooks. Can Zapzapmath be played online? How can our students get more coins? Players earn coins by playing the games. The higher the level of difficulty, the more coins players earn at the end of the game. Speed and accuracy bonuses apply to the coins as well; the faster players finish a level, and the more accurate players are, the more coins players will earn. This trains players' speed and accuracy in answering questions. There is also a daily bonus that gives a huge boost in coins earned for the first game that players complete.